USPS Certified Mail® tracking provides the mailer ‘in-route’ tracking. Origin Acceptance is the scan code used to record when each letter enters the mail stream. The date, time and Post Office of entry are recorded as evidence of mailing. In-route tracking scans like Processed through Soft Facility, Arrival at Unit, Depart USPS Sort Facility, Notice Left, Refused and Delivered provide additional tracking about the letter’s delivery. USPS Certified Mail® tracking has improved due to upgraded technology, new scanners and the intelligent mail bar codes. USPS Certified Mail® tracking numbers can track your letters delivery information online at usps.com for up to 90 days after mailing. The information reported may include messages like “Arrival at Unit’ ‘Notice Left,’ ‘Returned to Sender,’ ‘Refused’ and ‘Delivered.’ USPS has provided much better letter tracking and improved scan activity in recent years. Local letter carriers are doing a much better job of recording the attempted delivery with dates and times, as well as reporting the tracking in-route and the final delivery. USPS Certified Mail® labels are assigned article numbers that consist of numbers that begin with a 70, 71 or new technology codes using the digital postmark may begin with a 94. An example of this type of number is 9414815901016802011146. This is the USPS Certified Mail&reg; article number. If you mistakenly try to track a FedEx tracking number into USPS it smart enough to tell you of the error, and inform you the tracking number was an invalid USPS tracking number. All packages entering the mail stream are first scanned by USPS personnel. USPS only provides Special Service tracking service after the labels are printed or shipped from by an approved USPS third-party supplier. In general most customers report the USPS tracking system needs improvement. USPS’s Certified Mail® article and tracking numbers do not provide in-transit information like there is from UPS or FedEx. For USPS Certified Mail®, proof of mailing and proof of delivery are what most people need. The tracking function only provides information about the actual letter’s delivery status. If you use Priority Mail delivery this level of service will provide 2-3 day delivery in the U.S. ‘In-route’ tracking and delivery confirmation are provided with this level of service. Remember USPS does not scan each Certified Mail Envelope at every Post Office like FedEx, UPS or other common carriers. The USPS letter tracking services are improving slowly across America. Many users report Certified Mail® letter tracking services much different than FedEx or UPS and the data is helpful to tell whether the letter has been delivered. It is not uncommon for letters and packages to many time display an origin scan then a delivery scan. Because USPS Certified Mail® requires every Certified letter to be signed for, it may take up to 3 weeks sometimes until a change in the tracking/delivery status changes. If you send the USPS Money Order it is suggested you obtain a tracking confirmation. While en route scans may be provided in the future they are not a feature of Delivery Confirmation service today. Delivery confirmation is provided as a part of Priority Mail and Certified Mai®l. If you use Express Mail you will receive a confirmation email with a USPS tracking number. 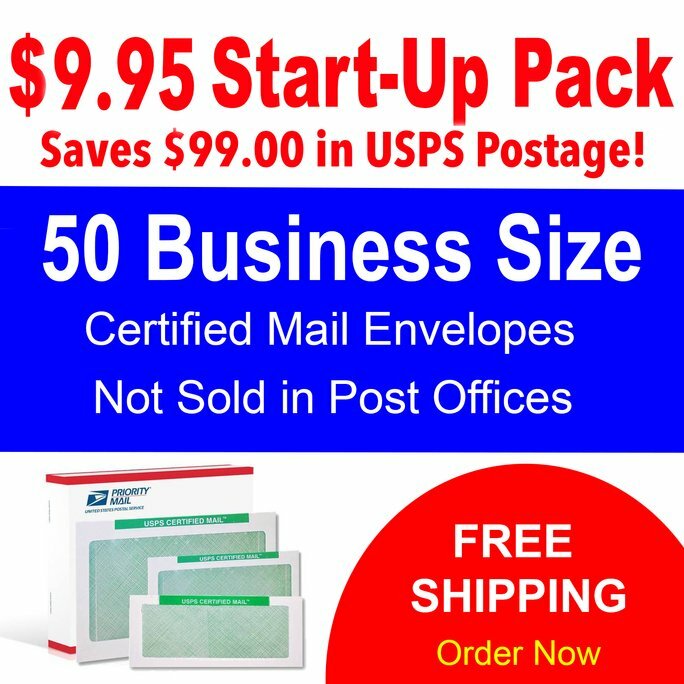 Your postage service includes the Delivery Confirmation and Tracking service fees. Additionally USPS sells Signature Confirmation services that provide a PDF file of the Signature when your item was delivered. In summary, USPS Certified Mail® tracking is improving slowly. USPS tracking is not available for military APO/FPO deliveries. If USPS Certified Mail® delivery confirmation is unable to confirm delivery of your letter you are entitled to a refund for the Certified Mail special service because it was not properly administered or recorded. Remember USPS tracking is really delivery confirmation and may not show up until the letter is delivered. The USPS system is primarily used to verify that something is sent or been delivered.